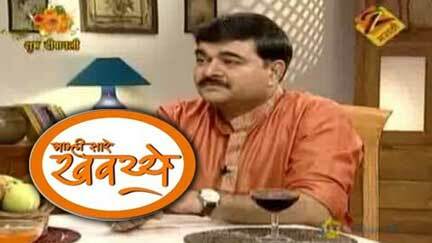 Serial Concept: A popular cookery show hosted by Prashant Damle on Zee Marathi featuring preparation of various delectable dishes and recipes. Watch Aamhi Saare Khavayye on Zee Marathi every Mon - Fri 01:30 pm. Watch Zee Marathi TV Show Aamhi Saare Khavayye episodes and videos online. Episode - 15th December 2009 - Spicy Hanid Veg. Tumchya show cha repet telicast dakhva... kahi vela episod miss hoto mhanunSwapna.jayakarI want take part in amhi sare khavaye.